I have minor quibbles with the final product – whoever chose the paint colors for the hair made some terrible choices – but overall I'm on board with this whole operation. The mask-makers may not have nailed every detail, but this photograph perfectly encapsulates our unending fever nightmare of a national election. Ballet in Cuba is not reserved to the upper crust who dresses up once a month and quietly sits through a performance, shushing those who dare to move on their chairs. 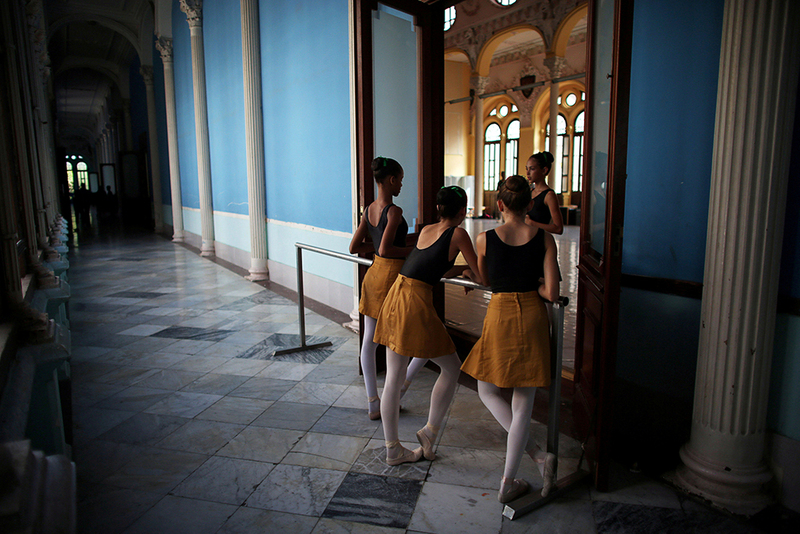 I've heard, in Cuba, Ballet is the national sport. People know the dancers names and last names, they are the superstars of their gossip world. Everyone goes to the theatre and cheer the dancers, loudly gasp after a good pirouette, and stand up at the end of a difficult jump went right--or wrong! There's nothing like the improbable beauty of of rusted garbage can to show the even more unlikely cuteness of a rat. 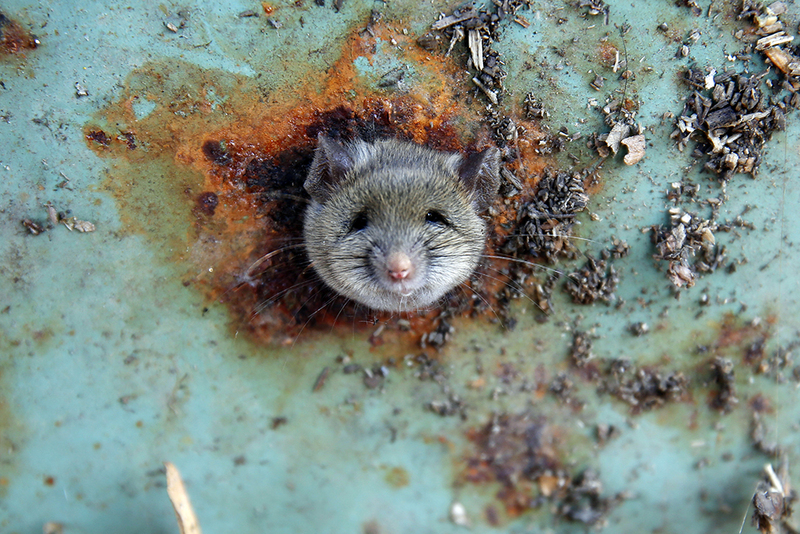 Adult rats can squeeze through holes the size of a quarter, as this furry fellow seems about to prove, as he pokes his head through a hole in the bottom of this refuse container in Brooklyn. 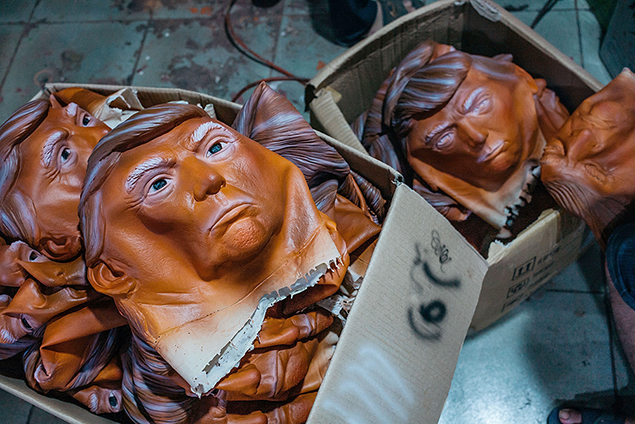 That's where we tend to see them — there and on the New York subway tracks. For a long time, folks believed there were four times as many rats as humans in New York City. In 2014, a scientific survey found that in fact the rat population of the city was only one fourth that of humans. So maybe our fear of them too is a bit overblown. 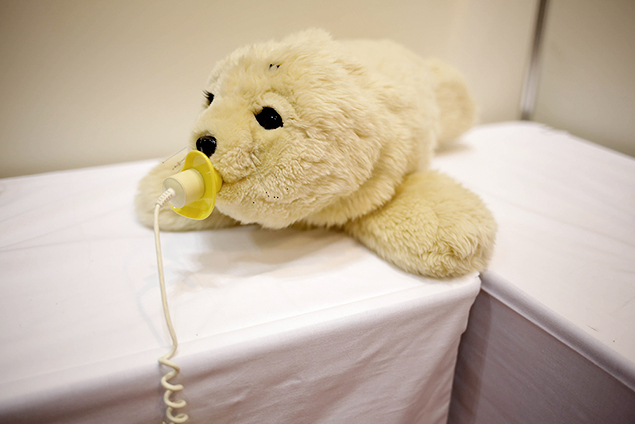 One unforgettable episode of Aziz Ansari’s comedy “Master of None” co-starred an adorable robotic seal named Paro, the latest model of which is in this photo taken at Japan Robot Week. Paro provides companionship to residents in extended care facilities and nursing homes, weighs about six pounds and responds to touch, movement, sound and other stimuli. And if you’re wondering why every home doesn’t have a Paro, the answer is because each costs around $5000. When you consider that you will never have to feed or clothe Paro, or pay for its education, that’s a bargain.